In Balance Yoga offers a variety of classes, including Hot, Barkan, Bikram Method, Flow, Yin – Deep Stretch, Restorative, Yoga Basics, Gentle, Chair, Prenatal, Meditation, Pool Yoga, Paddle Board Yoga, Aerial, Barre, Itsy Bitsy Yoga, Community Classes, Power Flow + Weights and Pilates Sculpt. We are the first studio in Southwest Virginia to offer a full schedule of heated yoga classes and aerial yoga. Grateful to Green Valley Builders, Inc. of Blacksburg, VA for custom building us a state of the art, almost 4,000 sq ft studio – h”OM”e to provide our students with a better experience from the moment they park until they roll up their mat. We are located at 1512 N. Main St. in Blacksburg, VA. Two miles north from our original location. We’re thankful to have many wonderful teachers in our community with diverse teaching certifications, backgrounds, styles and passions to offer our students a variety of classes for all levels and interests. We are grateful to all our Karma Yogis who help with all studio operations and keep our space peaceful and clean. 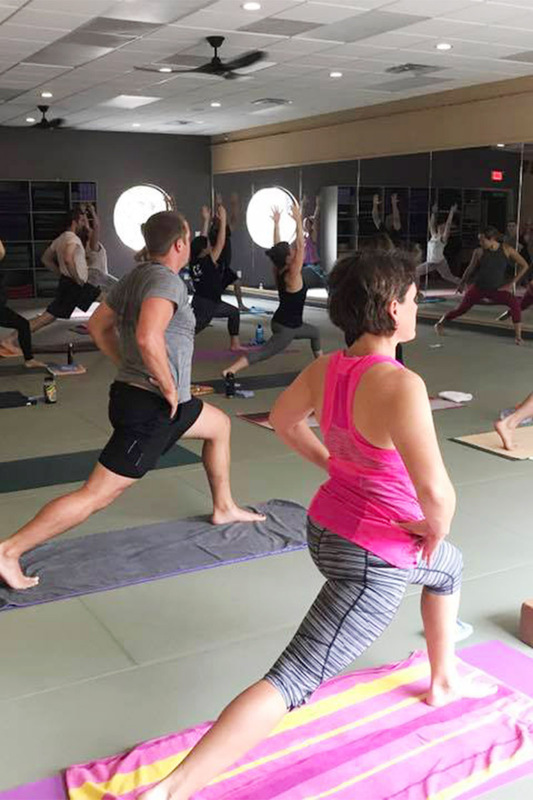 In Balance Yoga offers a diverse range of classes open to all levels; experienced yogis or new students, seniors, students experiencing injury or those wanting to slow down and fine tune their practice. Accessible to any and all body types. Open 7 days a week with 60 classes per week. Our Mission: To provide our yogis with a community of movement, breath, mindfulness, sweat and service in a space they feel at hOMe – “Welcome OM!” We want to be the heart of our community and all that we reach through our action of service. Come MOVE WITH US at 1512 N. Main Street in Blacksburg, VA. Two miles north of the original location. 4. 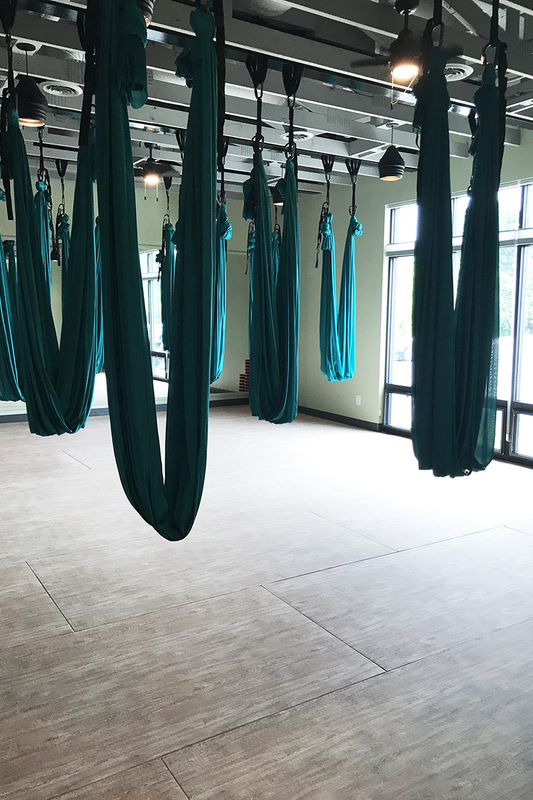 AERIAL YOGA = COME FLY WITH US! 10. FOR OUR COMMUNITY TO MOVE WITH US! We are open everyday with classes for all levels, new students, seniors, and experienced yogis. In our latest survey, the #1 Reason our students practice with us is to relieve stress. Come practice with us and let us help you reduce stress and feel better inside and out. I’ve been taking classes at In Balance for just about a year and am so happy with my experience thus far. 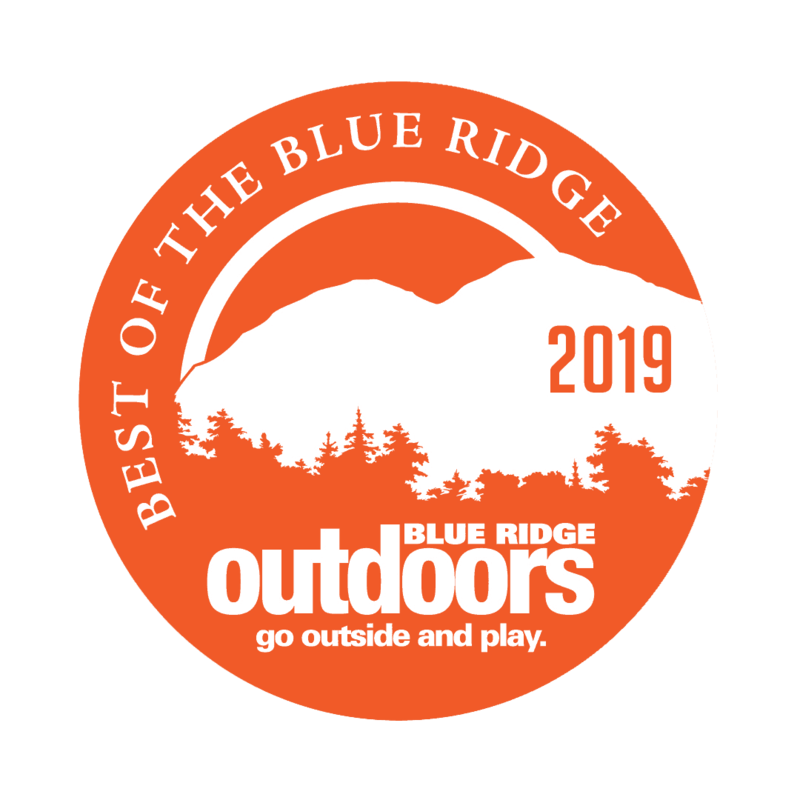 Nicole, Keala and all of the instructors are exceptional and have really built an amazing community in the New River Valley. For me personally, In Balance provides much more than a class — it is what keeps me grounded, balanced, strong and a much better runner. Keep up the great work — you provide much needed services to the citizens in this beautiful part of the world. Yesterday I came in for a class, it was absolutely amazing!! All the people I came in contact with were so warm and inviting and excited I was there. The class was hard (probably because I had never done it before of course) but afterwards I felt amazing! The instructor was friendly and understanding. She didn’t even blink when I had to stop for a break!! I definitely recommend this place to anyone wanting to try something new or even someone looking for a regular spot to practice yoga!